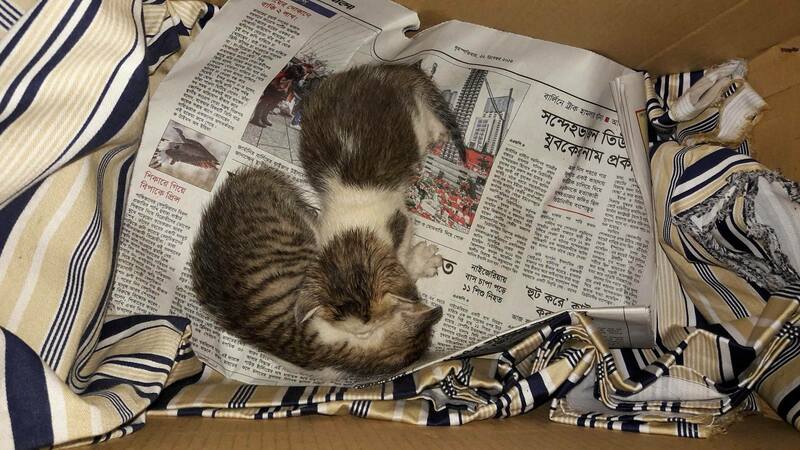 These tiny kittens just got rescued from street. they need a lactating cat mom or someone expert who can foster these kittens. experts will be appreciated. anyone here to adopt them? 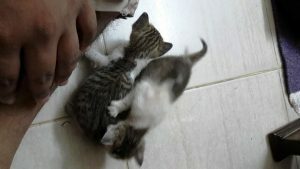 The tabby one is male. other one is female. Age is around 3 weeks. we will appreciate if someone can adopt them both together. they should be raised together. they do not eat solid and you have to feed them milk/ lactogen 1/ cat milk re-placer with syringe or feeder. every few hours they need to be fed as they can not eat by themselves. you need to keep them warm and clean them up. anyone is up for this cute responsibility?